The Stanford Sports Medicine staff typically looks after the elite athletes of Stanford University. However, last weekend, the staff used it’s skills on a slightly different, and younger, group of athletes. 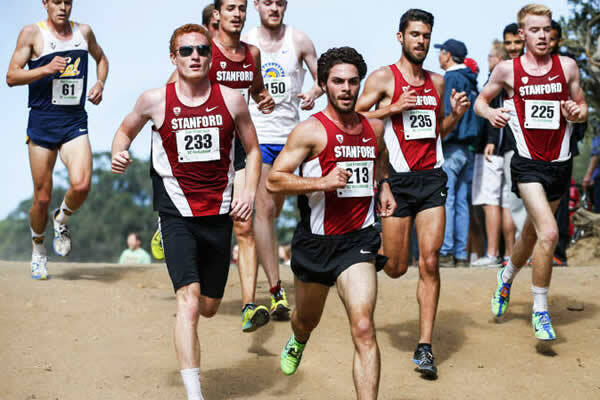 The 41st Annual Stanford Cross Country Invitational meet was held on September 24th, and with over 3,000 competitors, safety at the event is of the upmost importance. Jesseca Holcomb, Assistant Athletic Trainer, led the event and was responsible for the safety and care of the athletes from 244 high schools and over 40 colleges and universities. Stanford shifts its focus to tournament play this week as the Pac-12 Championship gets underway Thursday morning in Los Angeles. Closing out the non-conference portion of the regular season on Tuesday night, Stanford went on the road and edged Fresno State by a score of 3-2 from Margie Wright Diamond. No. 3 Stanford made it 56 runs in four games with a 15-7 win over San Jose State on Tuesday night at Sunken Diamond. A strong finish Tuesday enabled Stanford to keep its Pac-12 Championships hopes alive entering Wednesday's final round at Eugene Country Club. Two-time NCAA champions Audriana Fitzmorris and Jenna Gray have been selected as the co-recipients of the Spire Sportswoman of the Year by the Kansas City Sports Commission.